Gundula Hintz was born in Berlin and studied singing at the Hochschule der Künste Berlin with Prof. Ingrid Figur and Kammersänger William Murray. She also attended masterclasses with Aribert Reimann and Dietrich Fischer-Dieskau. Numerous radio and television recordings document her successful career. She has recorded Mozart’s Trios for CD with Dietrich Fischer-Dieskau and the woodwinds of the Berlin Philharmonic Orchestra. 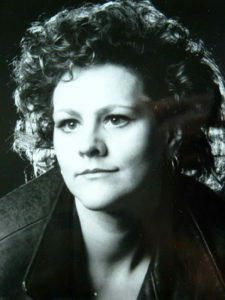 Gundula Hintz also runs an international singing studio in Berlin in which she teaches singing technique to numerous professional opera singers. She regularly holds masterclasses in Berlin, Bayreuth and the Deutsche Oper am Rhein, Düsseldorf. Gundula Hintz has appeared as an opera and concert singer with great success in numerous German and international opera houses (Berlin, Leipzig, Hamburg, Amsterdam, Naples, Venice, St Gallen and London), as well as at the Festival Radio France in Montpellier, the Venice Biennale, and the Berliner Festwochen. She received great acclaim for her interpretation of Baroness Liddy in the first performance of Detlev Glanert’s SCHERZ, SATIRE, IRONIE UND TIEFERE BEDEUTUNG at Opernhaus Halle (winner of the Bavarian Theatre Prize 2001), as well as for her portrayal of Countess Laura in the first performance of Roland Moser’s AVATAR in St. Gallen. After her first engagements in the jugendlich-dramatisch Fach (eg. Amelia UN BALLO IN MASCHERA, Sieglinde DIE WALKÜRE), she made her debut in 2011 as Fricka in Wagner’s DER RING DES NIBELUNGEN at Staatstheater Darmstadt (staging by John Dew, under the baton of Constantin Trinks, Gerd Albrecht, Ralf Weikert and Martin Lukas Meister). The role of Fricka completed her change of Fach to Dramatic Mezzosoprano. In Darmstadt in 2013 she portrayed the role of Herodias in the new staging of Strauss’ SALOME. Furthermore in the same year, she performed in Mahlers’ 8 Symphony at the Berlin Philharmonie. Since 2012, Gundula Hintz has appeared as Fricka DER RING DES NIBELUNGEN at the theatres of Halle and Ludwigshafen (staging Hansgünther Heyme, musical direction Karl-Heinz Steffens, since 2015 Josep Caballé-Domenech). In 2014 she was engaged at the Royal Opera House, Covent Garden, London in Mark- Anthony Turnage’s ANNA NICOLE. In the same year she made her debut in Halle as Adelaide in the new production of Strauss’ ARABELLA (staging by Axel Köhler, musical direction Josep Caballé-Domenech). In January 2015 she made her debut at Leipzig Opera as Fricka in Wagner’s RHEINGOLD, where she appeared in December 2015 as Dämonia in Humperdinck’s fairytale opera DORNROESCHEN. Augsburg Theatre engaged her as Fraeulein Schneider in Kander’s musical CABARET for summer’s Open Air Am Roten Tor 2016. In 2017 Gundula Hintz made her Canadan debut, singing Adelaide ARABELLA at the Canadian Opera Company in Toronto.